This does not really explain what went wrong, but the solution is to remove the replicas.prop file and restart the AdminServer again. Rename (move) replicas.prop to replicas.prop.bak and retry the startWeblogic. In my case this solved the not starting server. Script explanation: It will check if the table is present before trying to drop it. This post is meant to explain the few steps you need to take to start with Oracle Service Bus (OSB) development on a Windows 7 laptop. The OSB version used is 11g, although these steps are also suitable for OSB 10gR3 and Aqualogic Service Bus (ALSB) as well. An OSB Project contains the actual project which you will create. These are often functionally bound and represent a hierarchical structure similar to the structure on your hard disk. 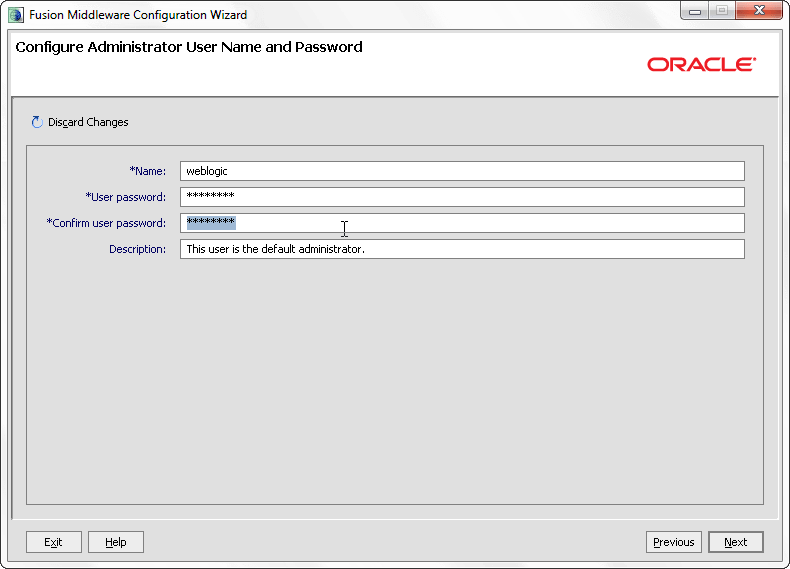 The first step in a every new OSB Workspace is to create a new configuration project. Later on when you create OSB projects you need to choose the Configuration Project to which they will belong. 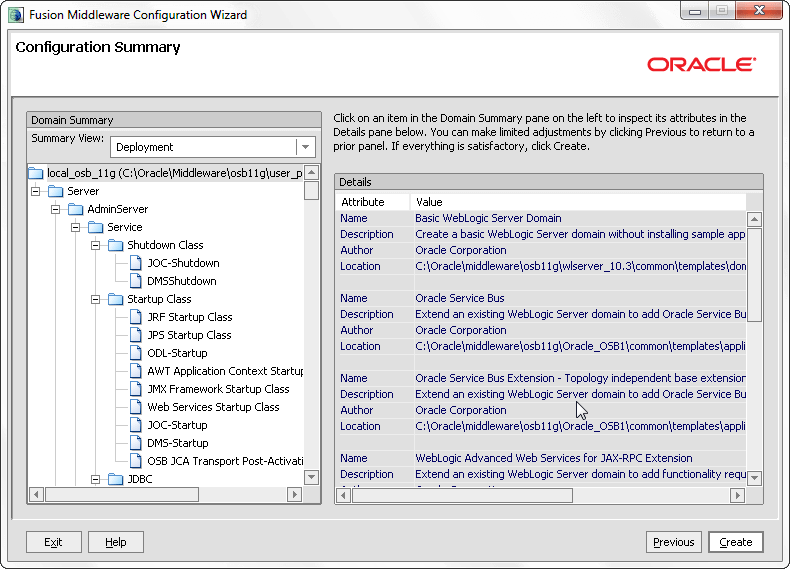 In a new Workspace you will get the question if you would like to switch to the “Oracle Service Bus perspective”, choose “Yes”. The above steps are the same for every project. I keep my workspaces aligned with the domains to which I deploy. 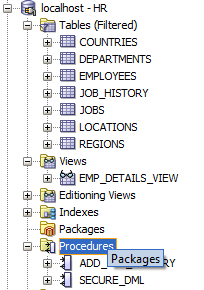 This means a new workspace for each domain, I often work with common schema’s and services (e.g. loggers / mailers) which I place in a separate project. Although I do re-use a lot of services, I found it better to keep this lean and not to tightly coupled so I create a new Common Services project for each domain instead of creating ONE Project to rule them all. This paragraph will focus on creating an OSB Project and will contain a sample service. This is the basis you need for creating Oracle Service Bus services. I will expand in further detail in later posts. If you do not have a development environment available or prefer to test your service locally you can also create a OSB domain on your local machine. 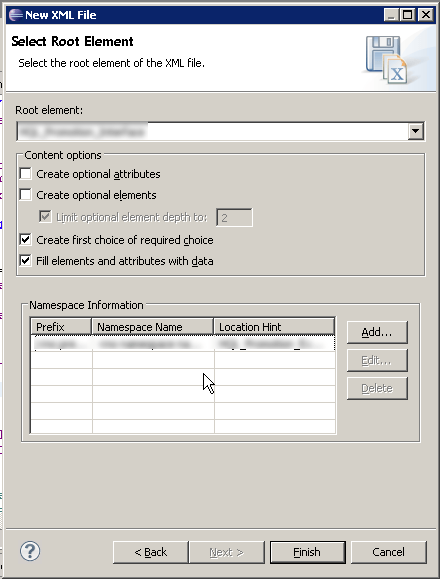 The next paragraph leads you through the creation of a new OSB domain via Eclipse. 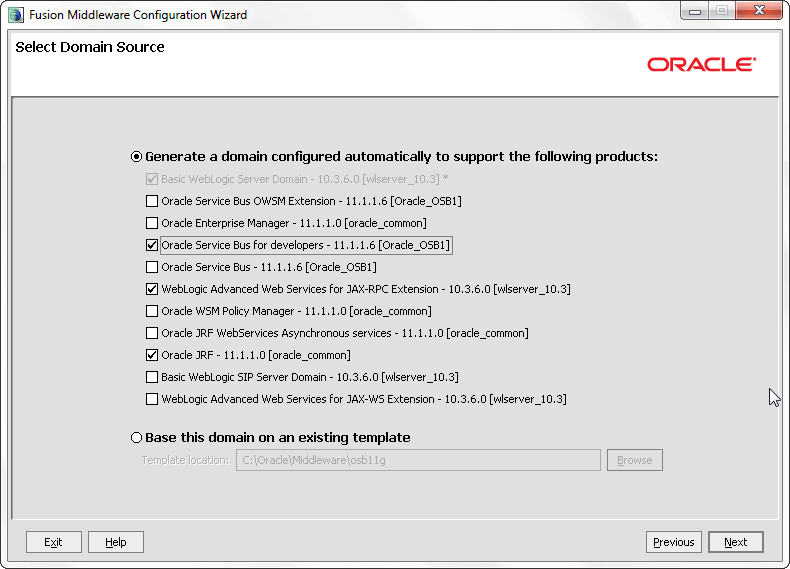 We will use the “Configuration Wizard” which will let us create a fresh new local Weblogic domain on our computer. Tip: I tend to use a domain name which indicates that I am working on my own machine as well as states the product and version which is deployed on the Weblogic server. The domain name is quite visible in the web console and this way I’m sure I’m working on the correct domain. Since 11g the password is bound to rules which prohibit you from choosing a really simple password. So with this added difficulty make sure you pick one which you will remember! When you’re done, click “Next” on every screen until you get to the configuration summary. 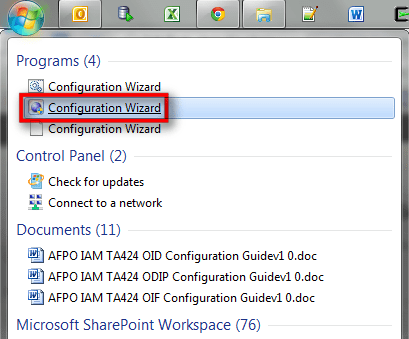 Click “Done” to exit the configuration wizard. We will not start the Admin server yet. We can now continue to configuring Eclipse to use this domain. 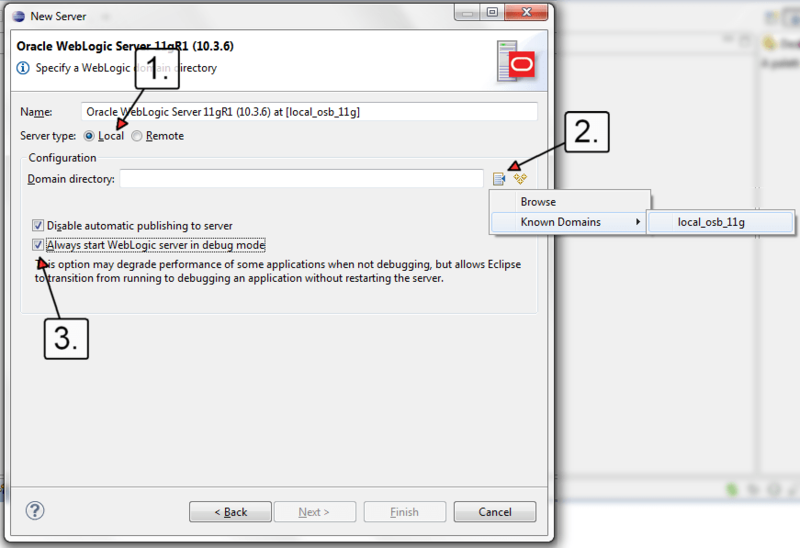 This paragraph explains how to configure an OSB domain in Eclipse. It is possible to configure a remote (DEV) domain here which is running on another server. I would advise to only configure local domains within your Eclipse, a DEV environment is often shared among colleagues and you might overwrite or tamper with your fellow colleague his or her services without knowing it. As a guideline: Use the DEV environment to test project exports and see if those are working without problems. Start Eclipse and choose your workspace. 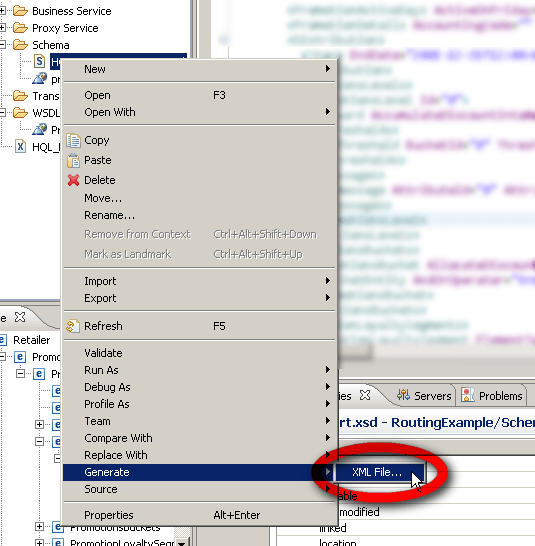 Then right click the empty space in the window and select “New” and then “Server”. Again: Although it is not necessary, I do like to rename the domain name (Server’s host name) to a value which will show me that I’m working local and on which version. 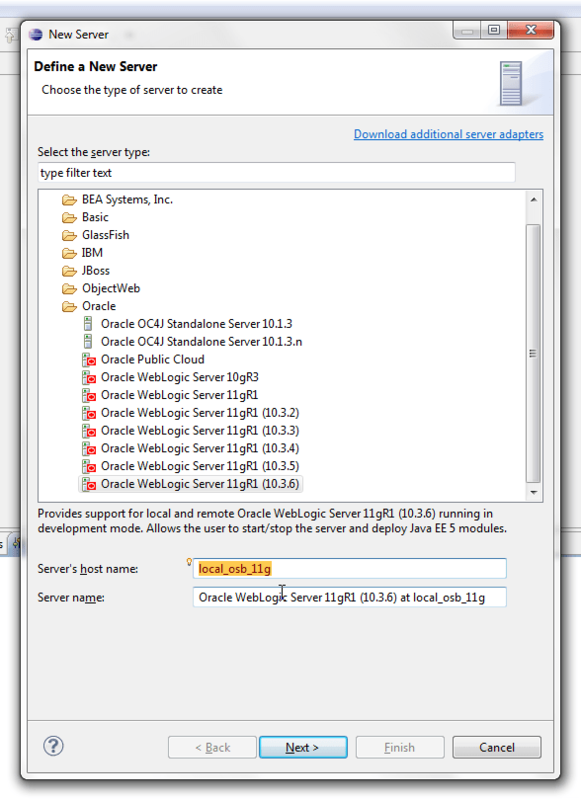 In the following examples we will also log into the Application server Weblogic via the web console. This Weblogic domain is also named “local_osb_11g” which again helps you to identify the domain when you’re shifting between local / DTAP environments. For your consideration: Depending on your needs you can later on create several local domains. 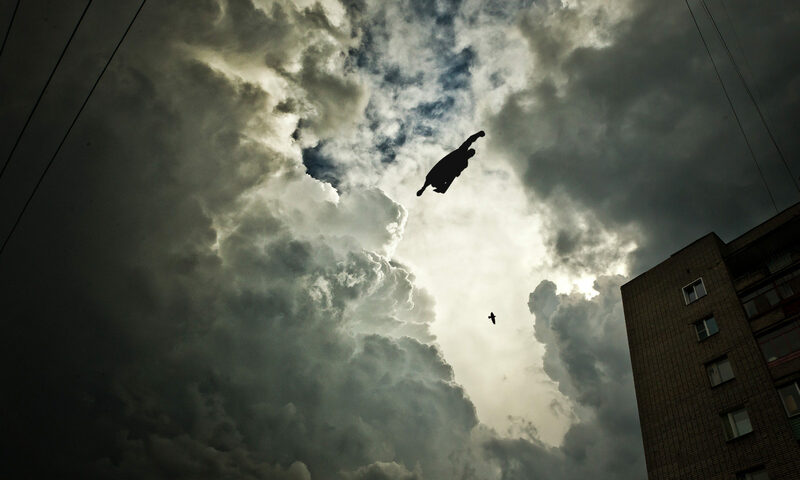 If you are working on two projects at the same time it makes sense to create two domains. Most of the time I re-use one domain since you can redeploy all projects in your workspace within a minute. This way you are also absolutely sure that your local configuration is always the way you expect it to be. 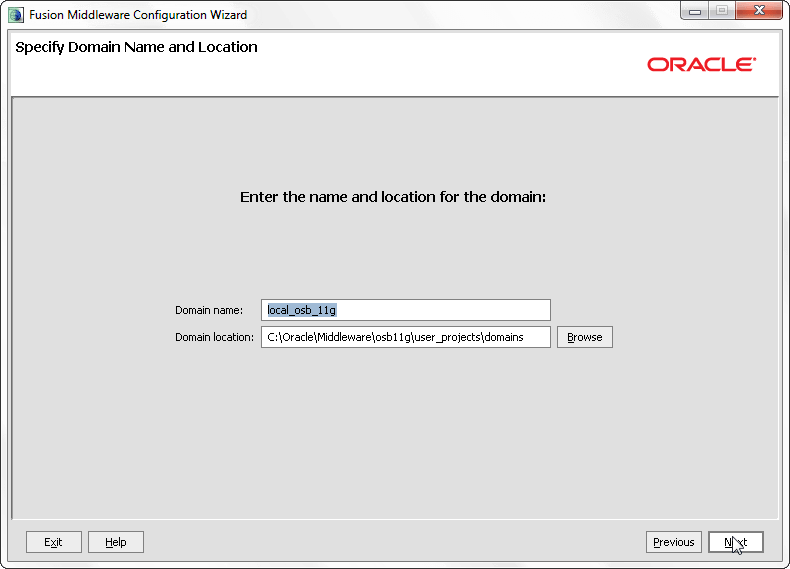 In general: Most clients will use one configuration profile for all OSB domains. Press “Next” to select the resources which we will deploy on our local domain. We are now ready to start this local server and deploy our newly created Projects. Right click the top line (which stands for the domain) and select “Start”. 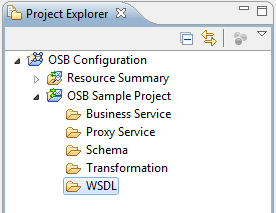 You can see the OSB projects you’ve deployed to this server via the button “Project Explorer”. Note: You can also develop new services via this SBConsole, most functions which are available via Eclipse also exist in the SBConsole. That’s it! You are now fully equipped with a running OSB domain on your machine and can start developing and running your own web services.